Look great while you straighten your teeth! Straighten your smile with less pain and less hassle! You'll be the only person who knows you are straightening your teeth! Here at Dr. Blackwood’s office, we have the training and commitment to help you achieve the smile of your dreams with several adult orthodontics treatments. We care about giving our patients smiles they love! Adult orthodontics includes braces systems created specifically for older teenagers and adults. 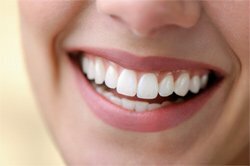 These systems typically handle many of the issues this group is most concerned about while they’re getting straight teeth and a beautiful smile. Though adult orthodontics systems often can repair complex issues, such as defective bites, their main function is to provide attractive smiles. What Adult Orthodontics Braces Systems Does Salt Lake Dental Care Provide? We offer offer two amazing adult orthodontics braces options for our neighbors in the Salt Lake City area. The Invisalign clear braces system is a fantastic adult orthodontics option. It uses clear aligner trays to straighten your teeth, which most people won’t even see when you smile, laugh, or pose for a picture. They are far less painful than traditional braces methods because they use a consistent, gradual, progressive pressure to straighten your teeth. They don’t cause any sudden pain you may associate with the tightening of the wires on metal braces. Because Invisalign doesn’t use metal, the aligners can’t cut or scar your gums and the inside of your mouth. It’s easy to maintain your dental hygiene while using Invisalign clear braces: when you want to brush and floss your teeth, you simply remove the trays. The Invisalign system usually takes less time to straighten teeth than metal braces take. With the Invisalign clear braces system, you swap out the aligner trays every two weeks, and we will give you several sets of trays at once, which you can swap out at home. This saves you time, because you won’t need to visit our office as often. For more information, please visit our Invisalign website. Six Month Smiles causes less pain than metal braces. The brackets placed on your teeth use no metal that could cut or scar your soft tissue. The wires attached to the brackets are bent in a shape that is customized to quickly and consistently straighten your teeth. This method focuses on straightening only the teeth that are visible in your smile, which is often all adults and older teens want. Six Month Smiles is made up of clear brackets and a tooth-colored wire, making the system almost undetectable. For adult orthodontics methods that can give you a beautiful smile quickly and easily, like Invisalign and Six Month Smiles, call Salt Lake Dental Care for an appointment today! Murray Invisalign dentist Dr. Clint Blackwood of Salt Lake Dental Care offers Invisalign clear braces to straighten teeth almost invisibly. We serve patients from the greater SLC area including Holladay, Taylorsville, Midvale, Draper, West Jordan, Fort Union, West Valley, Sugarhouse, Sandy, Millcreek, Cottonwood Heights, Riverton, and South Jordan.